I found a chase car! Took the kiddos to Target to grab some things, stopped by the diecast aisle according to custom and spotted this nifty casting. 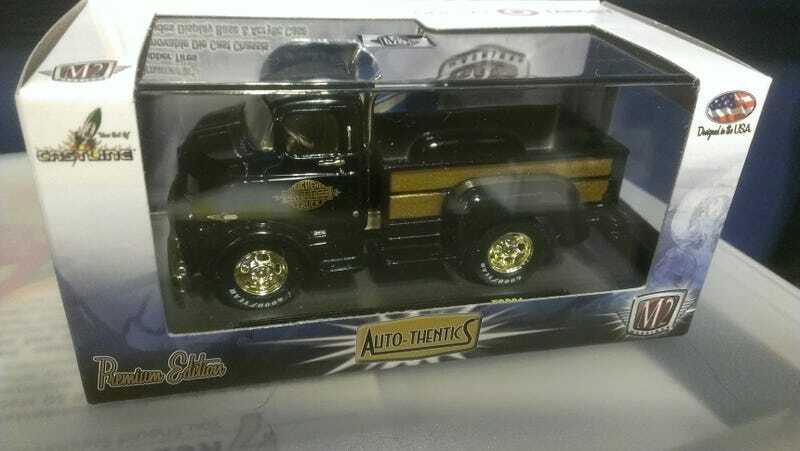 Dug through the stack a little and found one with gold wheels. First chase car I’ve found in the wild (aside from one that I took a picture of to report on the state of M2 and never noticed till a fellow LaLDer pointed it out...grrr). Supposedly there are 500 of these worldwide, and apparently 490 of them are on eBay. I think I’ll buck the trend and not put it on eBay, but if someone had a great trade offer, I’d consider it. It’s a cool casting, and I don’t mind hanging on to it, but it’s a bit outside my normal collecting habits, so if someone really needs it, I could probably bring myself to part with it.